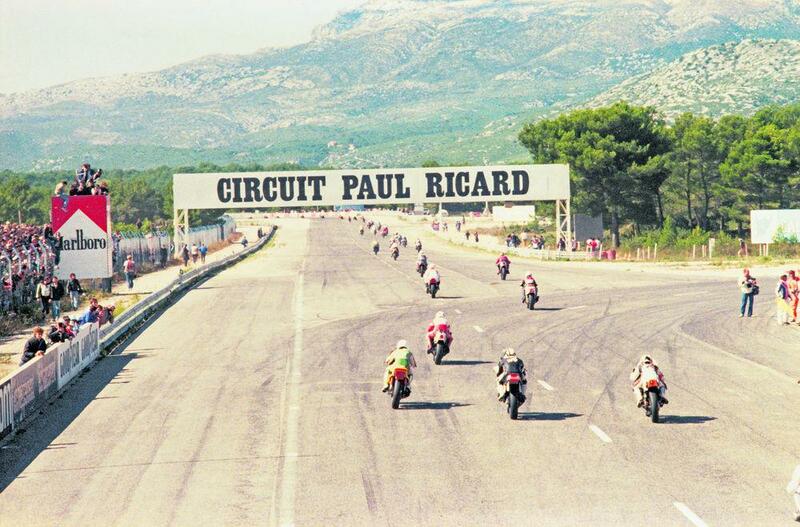 rom the late 1970s to September 1999, the Bol d’Or was one of the biggest events on the European race calendar. For racers it was the most prestigious 24-hour race of them all, while for fans it was a wild weekend of bacchanalian abandon and hair-raising rides to the nearby Cote d’Azur beaches. Then-F1 mogul Bernie Ecclestone bought the track and turned it into a deluxe F1 test track, so the Bol was banished to the wilderness of Magny-Cours. This weekend the Bol returns to Ricard. Terry Rymer The whole event was fairly mental. One year the bike blew up in the middle of the night, so me and the wife are driving out of the paddock in our hire car when we get set about by hundreds of lunatic bikers with bonfire ash all over their faces. I’m trying to keep a low profile but they stop us and surround the car, banging on the windows and trying to turn it over. So I had to make a decision – what am I going to do? So I stuck it in first gear, knocked over about 20 people, ran over a few legs and we were gone. Mat Oxley There was something very special about the Bol at Ricard. It was a very wild weekend, a bit like Glastonbury surrounded by a racetrack. We always blew up or crashed there, which allowed us to dive into the madness: see The Stranglers on stage, watch a bullfight, eat a hog roast and laugh at all the nutters doing weird stuff. Rymer There seemed to be as much going on in the spectator areas as there was on the racetrack. You’d be coming onto the Mistral straight watching fans doing naked wheelies on bikes, then sparks flying and ambulances charging around. Oxley The track was great: really fast. The Mistral straight was 1.1-mile long, so you’d be hauling down there in the middle of the night, passing other riders like you were zapping aliens in a video game. We used to switch off the headlights, so when you were drafting past someone, they didn’t know which side you were coming past, which would spoil their chances of jumping into your draft. Rymer At dawn the campfire smoke laid very heavy and very dense on the Mistral. So you were caning down there in sixth gear, then for one second, which is a hell of a long time when you’re doing 190mph, you couldn’t see anything, then you’d burst out of the smoke. That kept you awake. Thinking back on it all, it was so, so dangerous. Oxley By dawn endurance racing gets painful, but you’d have a little laugh going down the Mistral when you smelt the Merguez sausages cooking on campfires and saw a few diehard fans still having a good time, still glugging back the beers. The Bol became a huge deal with British fans – over 3000 would make the pilgrimage to the south of France. It became the last big ride of summer. Rymer The weather was usually pretty good but one year there was a hell of a storm in the night: the lightning was coming in and it was like a strobe light on the rain spray coming off the tyres. It would be daylight for a split second, then night again, and for that split second every single rain drop was frozen in mid-air. Oxley Doing the last session was always an experience. You’re totally shattered, mentally and physically; your head is throbbing and every muscle is screaming, then you see the fans preparing to invade the track. You’re egging them on because you want the race to stop! When the invasion finally happened, everything went crazy again!